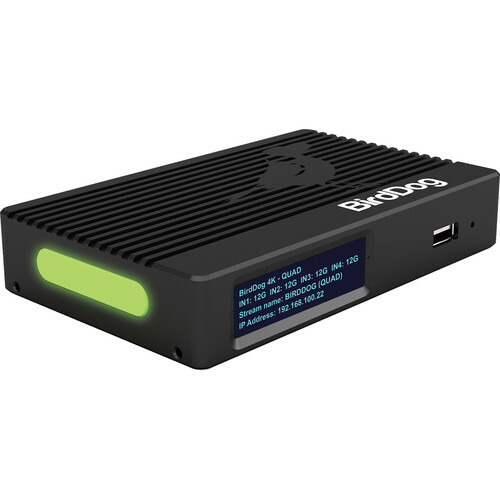 Based on BirdDog's custom NDI silicon chip, the BirdDog 4K Quad NDI Encoder/Decoder supports up to UHD 4K/60 video input for distribution on NDI networks in full-bandwidth I-frame compression. This compact device is housed in an aircraft-grade aluminum case and features four 12G-SDI selectable inputs/outputs and an HDMI 2.0 output. It also has a built-in cross converter that allows an SDI input to be looped out via the HDMI output. Another major feature is an SFP+ expansion slot that supports SFP+ modules for fiber connectivity and Ethernet protocols from 1-10GbE. A Tally system with a large bi-color Tally light is also built for indicating which camera is live to on-air talent. The Tally system also allows user-selectable Tally borders on loop out. The device is complete with 3.5mm audio input/output, a 4-line OLED display, and USB 3.0 interface. 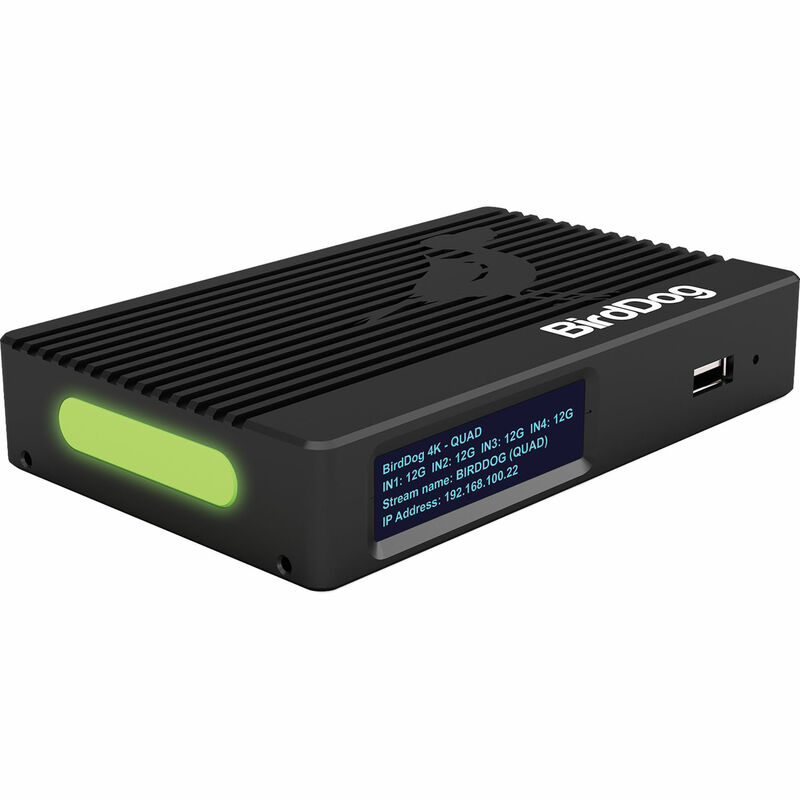 It can be powered by a standard power supply or over PoE+.